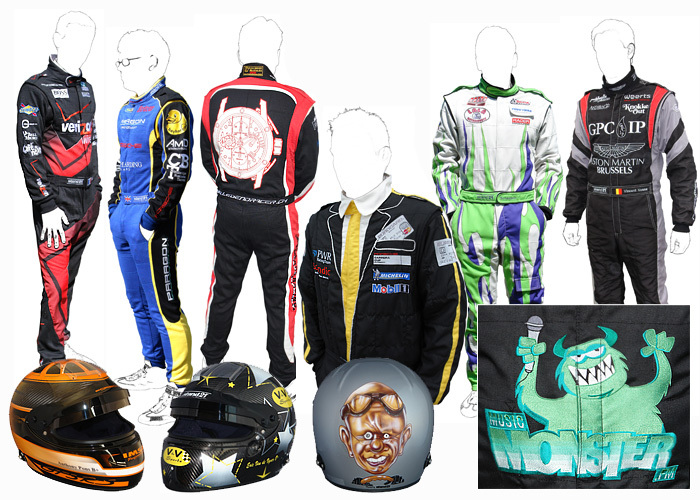 I took an old Stand 21 Corvette suit from my wardrobe according to the complete trust I have in this brand and a few days later, I was really satisfied with my choice, escaping from an enormous fire that took place in the car while driving it after a clash with another driver. 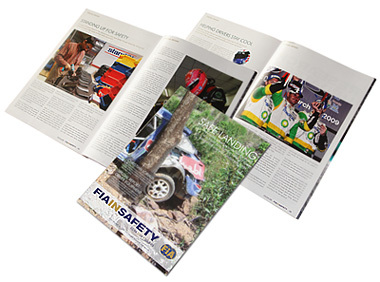 In these situations, you fully realize that racewear is not only media cover for the sponsors." From the start, Stand 21 has monitored the IVOS to make it the new reference on the market. As the F21 Air Force did in its time, the IVOS offers an unmatched comfort. 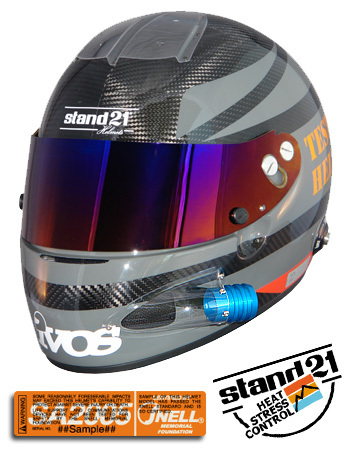 It’s definitely a busy and exciting time for us with new items in our IVOS range including new visors available soon. 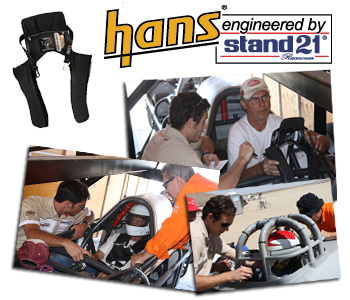 THE HANS®SYSTEM still got it! 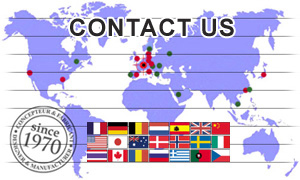 The HANS®System is still highly popular with numerous new users around the world. Stand 21 was at several events to ease its introduction. This was the case recently in the U.S. where Stand 21 went to advise the SCTA, the American governing body for automotive speed trials, on the salt lake of Bonneville, Utah and the one of El Mirage, California. This will also be the case next month for national rallies such as the Idaho Rally. 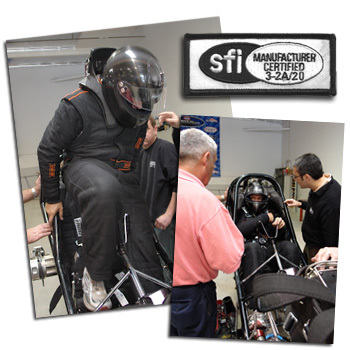 The first Stand 21 dragster racing suits, SFI 3.2A Level 20+ (Top Fuel) and 20++ (Funny Car), have just been homologated. 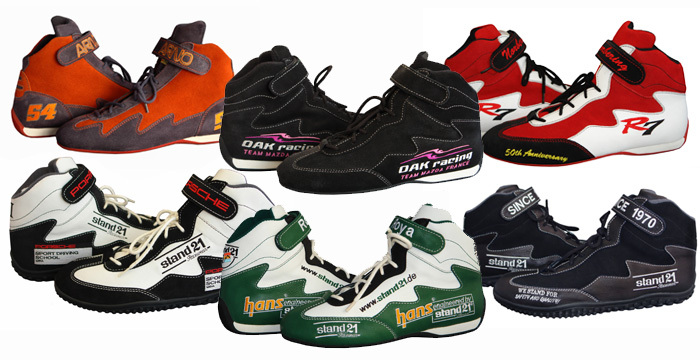 They bring unmatched breathability and comfort compared to their competitors with the same fire protection. The TPP test (Thermal Protective Performance) exposes the fabric to a standard heat and measures the thermal energy quantity which, applied on the fabric, will lead to a 2nd-degree burn on the skin when in contact with the other side of the fabric. performance-wise) must get a TPP result of 19. 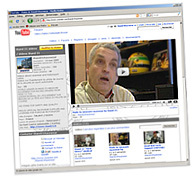 - Fuels used in Dragster are alcohols or Nitromethane mainly (90% in the main series: the Top Fuel). Nitromethane burns more easily in the air than gasoline. 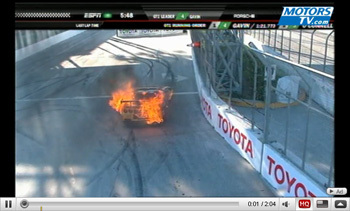 At the start, you can burn as much as 9 times more Nitromethane than gasoline. - Under full throttle, a dragster engine consumes 1.5 gallons (6,819 liters) of Nitromethane per second, the same rate of fuel consumption as a fully loaded 747 but with 4 times the energy volume. - Engines are supposed to work at 9,000 rounds under full throttle but generally explode way before. - At stoichiometric 1.7:1 air/fuel mixture (for Nitromethane), the front flame of Nitromethane measures 7,050 degrees Fahrenheit (= 3,899 degrees Celsius). - If spark momentarily fails early in the run, unburned nitro builds up in those cylinders and then explodes with a force that can blow cylinder heads off the block in pieces or blow the block in half. There is no other automotive series which exposes the drivers to such intense fire so frequently hence the need of fully protective yet comfortable equipment to perform. Stand 21 has now a channel on Youtube. Since the HANS®System appeared, open-face helmets have been back in action!